OSWEGO, NY – According to the Oswego County District Attorney, it’s not that unusual for a DA to ask for a special prosecutor in certain cases. Earlier this week, the Onondaga County District Attorney’s Office did just that. Peter J. Rauch, 37, of Liverpool, allegedly struck an 18-year-old man with his vehicle and fled the scene on March 21. 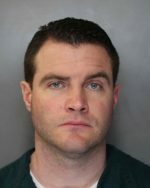 Rauch was an investigator with the Onondaga County District Attorney’s Office. His employment has since been terminated. “On Tuesday (March 21), the Hon. James Tormey, Chief Administrative Judge for the 5th Judicial District, appointed me (and thereby my office) to serve as special prosecutor in the matter of People v. Peter Rauch,” Oswego County District Attorney Gregory S. Oakes said. He has been actively consulting with the Syracuse Police Department about the investigation over the past few days, he added. “I will continue to be directly involved with the case. I intend to personally prosecute the matter; but as always, at various points I will be assisted by one or more of the other capable prosecutors that serve in my office,” he told Oswego County Today. While the allegations involved with this particular case are seemingly exceptional, it is not unusual for District Attorneys to recuse themselves from matters in which their office has a conflict of interest, he explained. In fact, in addition to the Peter Rauch case, Oakes’ office is currently prosecuting at least three other Onondaga County cases in which DA Fitzpatrick sought a special prosecutor. “My office will provide the same attention and professionalism to the Peter Rauch case that we bring to all cases. The victim and his family deserve no less,” he continued. “However, this case will not detract from the day-to-day work of my office as we are accustomed to dealing with many serious cases at once. My office regularly prosecutes more than 600 felony arrests per year. I hope there is not a plea deal. This is going to be a very high profile case that CNY is watching closely. If this has an outcome of that similar to the Minetto FD, trust and integrity will be compromised in our DA’s office too. He’ll probably get about 4-7 years while the kid and his family get eternity. I would hope he would man up and just do his time instead of putting this family through the hell of a trial. They know he did it…the video from the Past Time athletic club shows it and the witnesses outside Lookers nightclub saw it. SHAME on you Peter Rauch!!! “Actions speak louder than words” goes the saying and you sir, you have proven to be quite inadequate. I am deeply disturbed of your actions, the lack thereof and the humanity you didn’t possess. Maybe if you did possess humanity and wasn’t worried about “yourself” Seth’s parents wouldn’t have to belong to the club of “widow parents”. I won’t waste anymore of my time or words on you but to Seth’s family, my deepest condolences to you all. I am so very sorry this happened.